ARRA News Service: Will Red State U.S. Senate Dems Ignore A Majority Of Their Constituents? Will Red State U.S. Senate Dems Ignore A Majority Of Their Constituents? Congress is still out for Turkey Day! While many on the far left are digging in and telling Democrats not to even consider entitlement reform in talks over averting the fiscal cliff, reports today suggest there may be some Democrats who aren’t wedded to massive tax hikes and could be open to entitlement reforms. Will these rank-and-file Senate Democrats listen to reasonable voices on reform or to unions demanding no entitlement changes and some Democrat leaders cheering the idea of allowing the nation to plunge over the fiscal cliff? Richard Manning (Americans for Limited Government) noted that Democrats are acting like Mr J. Wellington Wimpy in the old Popeye cartoons. 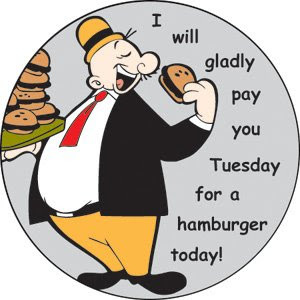 Wimpy would declare, “I will have a hamburger, for which I will gladly pay you next Tuesday.” But in the viewers minds they strongly suspected that next Tuesday never came for Wimpy. The same will hold true for any promised budget cuts that are not both immediate and sharp. 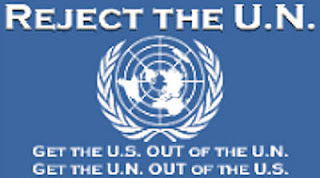 Tags: Washington, D.C., Democrats, unions, Wimpy, fiscal cliff, cutting spending To share or post to your site, click on "Post Link". Please mention / link to the ARRA News Service. Thanks!